Okay, this has been along time coming and i am so excited to share this with you all. As people are trying out veganuary & veganism is more popular, lots of supermarkets, restaurants and retailers are rushing to get vegan items on their menu's & shelves, which is amazing news for us and the animals! Marks and Spencer (high street store) have just released a new line of vegan options, yay! I recently picked up the 'edamame and black rice nourish bowl'. 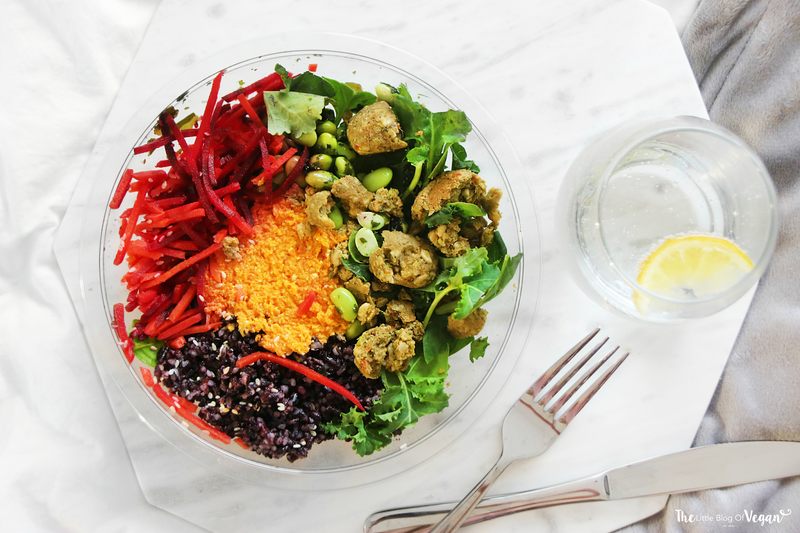 This bowl isn't only perfect for vegans, but anyone who likes bright, colourful and nourishing food. This bowl is also packed full of protein and flavour. I will be picking it up again very soon! How good do they both sound! I went to pick one up but they were out of stock when i visited, i guess they are just too darn good. I have included a link which shows you all of the vegan options available at M&S. I highly recommend the vegetable Samosa and the carrots with hummus snack pot....so good! I am so happy more high-street chains are catering for vegans.